Protect and soothe yours and your family’s skin with this Ultrasun Duo containing Ultrasun Family SPF 30 Super Sensitive (150ml) and Ultrasun Aftersun (150ml). This formula is water-resistant and only one application is needed to provide all day protection giving you more time to enjoy the sun. 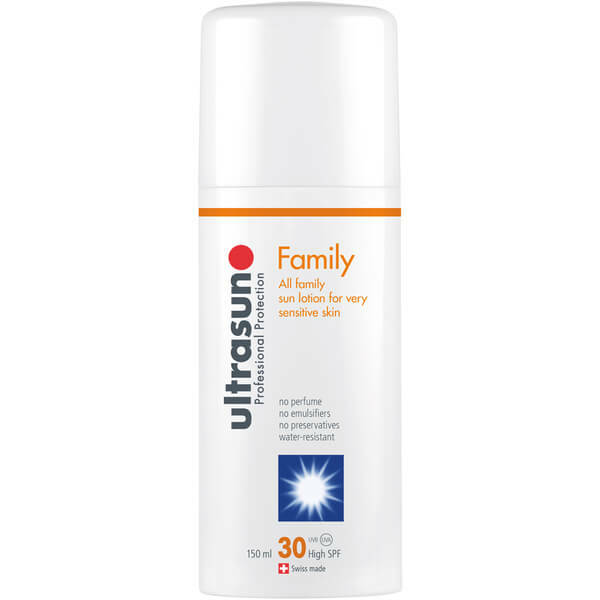 Specially formulated to be free from oils, emulsifiers and perfumes, Ultrasun family SPF 30 Super Sensitive is perfect for children’s delicate skins and helps prevent uncomfortable sun reactions such as prickly heat. It also provides extra protection for areas more vulnerable areas such as shins, noses and shoulders. 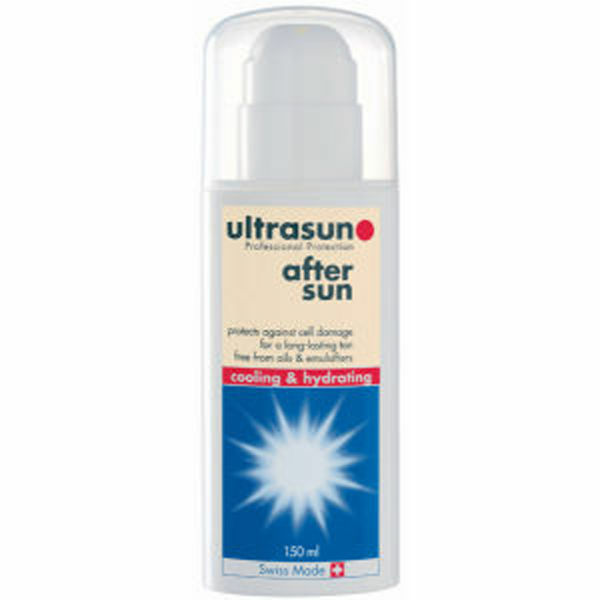 Soothe and cool irritated skin with Ultrasun Aftersun. Use this easy to apply gel-lotion after sunbathing to restore skin back to its best. The liposomal SOD in Ultrasun AfterSun activates the skin's biological repair system enabling it to heal quicker from any sun related over indulgence. The cooling gel-lotion enables moisture to penetrate deep into the skin acting as a body lotion as well as a great after sun. The product is free of oils and emulsifiers and just carries a light fragrant scent to keep you smelling great. 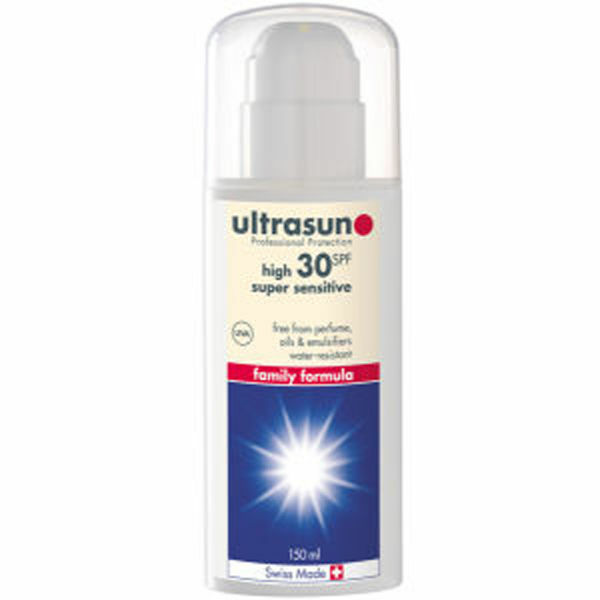 Ultrasun Family SPF 30 Super Sensitive: Aqua, propylene glycol, alcohol, lecithin, ethylhexyl methoxycinnamate, butyl methoxydibenzoylemethane, titanium dioxide (nano), methylene bis-benzotriazolyl tetramethylbutylphenol (nano), sodium acrylates copolymer, dimethicone, pentylene glycol, tocopheryl acetate, aluminium hydoroxide, decyl glucoside, disodium edta, paraffinum liquidum, pentadecalactone, ppg-1 trideceth-6, stearic acid, xanthan gum. Aftersun: Aqua, Peg/Ppg-17/18 Dimethicone, Allantoin, Bisabolol, Lactoperoxidase, Lecithin, Superoxide Dismutase, Tocopheryl Acetate, Alcohol, Glycerin, Menthol, Paraffinum Liquidum, Parfum, Ppg-1 Trideceth-6, Sodium Acrylates Copolymer, Cyclohexasiloxane, Cyclopentasiloxane, Phenoxyethanol, Butylparaben, Ethylparaben, Isobutylparaben, Methylparaben, Propylparaben.